A month is left in the current parliament’s tenure, whose members will not have enough time to debate the results of the Pakistan Economic Survey 2017 (PES) which brought to our notice undressed ‘regional and gender disparity’ in development outcomes in the country. While Budget 2018-2019 offers plans, estimates and promise, the PES informs has what has been achieved and where we stand on key economic indicators in the country. In the case of provinces, other than ‘Budget White Papers’ there are no other published documents which inform citizens on the performance of their governments during the outgoing fiscal years. The major source of information remains the budget speech – which gives data, one estimate in the start of the year and another revised estimate at the end of the year with alterations and amendments in what is called the supplementary budget. This supplementary budget would be acceptable in times of emergencies, but governments in Pakistan, federal and provincial, have made it a practice of getting mini-budgets approved at the year’s end. 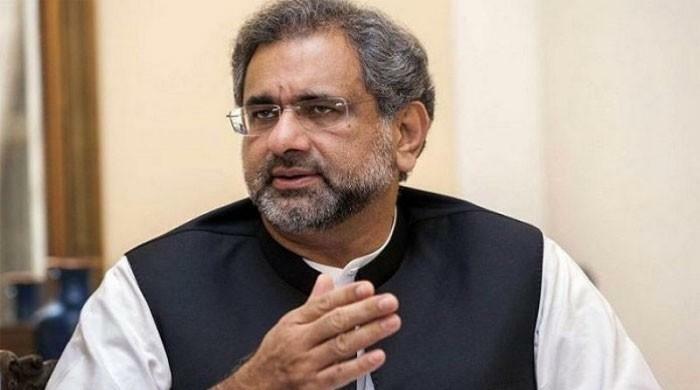 The PML-N has set a new record of submitting a Rs600 billion supplementary budget for the outgoing fiscal year outside budget approval. The PES could have been helpful in educating citizens on the progress of CPEC-related projects and investment, but the survey repeats numbers without getting into how much has actually landed in Pakistan, and in which areas, and what to expect in a timeframe. It seems that data was suppressed. The PES declares that Pakistan has 70 percent literacy ratio among men, and 48 percent among women. This seems to have not changed in the last four years. The federal government could add up only Rs4 billion in the education budget in the last four years from 2013-2018; it started with Rs87 billion and ended at Rs91 billion. This shows the much reduced role of the federal government in the education sector. As mentioned above, the PES claims that Pakistan has attained 70 percent literacy among its male population. We seem to be among those rare countries which prefer to see literacy on a gender basis – because the overall literacy figure is not very impressive. The survey exposes all three provinces, except Balochistan (the province’s data is not mentioned in the report. Either the provincial bureaucracy is too lazy to compile the data on time or has failed to send the data to the federal government on time ahead of publication of the PES). In all three provinces, education spending declined between 2015 and 2017. The Punjab government saw a cut of Rs30 billion, Khyber Pakhtunkhwa Rs2.75 billion, and Sindh Rs360 million. For Sindh, this is a shocking number because the province had allocated Rs170 billion for education and ended up spending Rs134 billion. Reacting to these figures, some senior officials in the provincial bureaucracy rejected them, saying that the PES is not reliable. According to official figures, Sindh is ahead of KP and Balochistan in female literacy – KP has 36 percent female while in Sindh it is 48 percent. Sindh’s number goes higher because of its major urban population; in rural districts, female literacy is less than 20 percent. Sadly, Balochistan has miserable figures on female literacy; it declined from 25 percent in 2013 to 23 percent in 2016. But, despite the decline in expenditure in KP, the PES acknowledges the KP government for bringing down illiteracy. The report states: “The greatest decline in literacy rate from 2013-16 has been in KP, where it was at 53pc in 2013 but now rests at 36pc.” A 17 percent increase in literacy in the past five years is very impressive performance by the PTI-led government. Health and education are provincial subjects. The federal government’s focus has been on infrastructure development, energy projects and poverty alleviation through the Benazir Income Support Programme (BISP). On health, the survey states that the per-capita expenditure on health is higher in Sindh than in Punjab. Sindh’s health budget has more than doubled in the last five years, from Rs45 billion to Rs100 billion, with new big hospitals opening up in several cities outside Karachi – in Sehwan, Sukkur and Benazirabad. Punjab’s population is more than double than that of Sindh, but its health budgetary allocation does not reflect that population difference. Sindh spends Rs100 billion on a population of 47 million while Punjab spends Rs158 billion on 110 million people. Does that mean Sindh has better health services than Punjab? Does that mean that Sindh spends more on buying medicines than Punjab? Does it mean that people in Sindh get free medicines in government hospitals? The fact is that Pakistan has a rather poor standing globally as regards health budgets. We are among those countries which spend less than one percent of GDP on health, and in our case expenditure has decline from 0.60 to 0.49 percent over the years. The PES is not just the report card of a government; it tells us about the state of the economy and human development or the lack of it. In the past, such reports used to be very comprehensive when it came to social development issues. 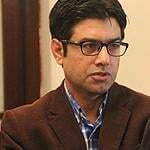 It seems there is a deliberate attempt to suppress reporting of province-wide data on development because the punching reality fuels anger and protest among provinces, as people realise the alarming regional imbalance and exploitation.